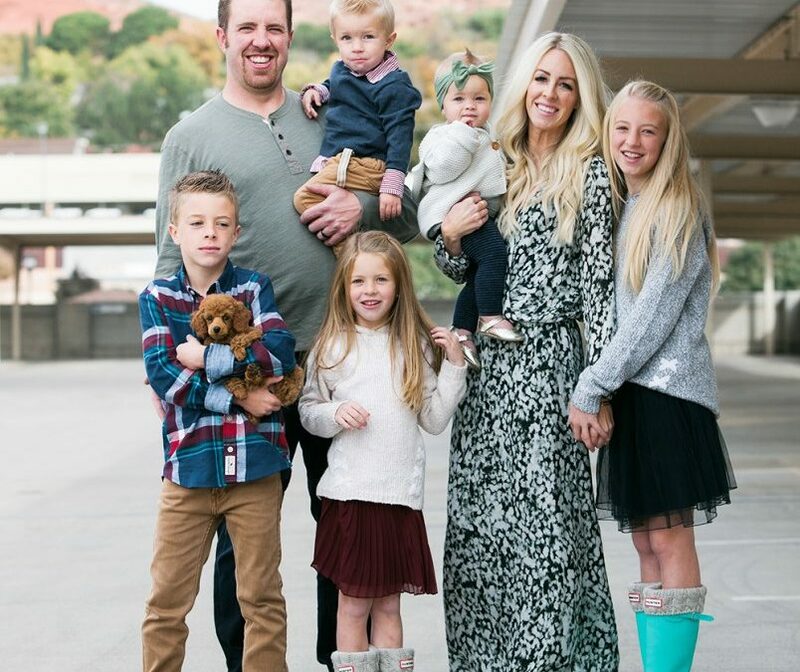 Kailee Wright is a fun, bubbly, Mormon Mommy blogger. Her love of family, fashion, and home decor have made her blog terrifically successful. She shares all about her adventures with her family, shopping trips to Target, and her home decor finds and styling. She is very active on Social Media and often times on her Instagram, she shares videos of the funny things her kids do. Kailee and her husband, Joe, have 5 kids—Hunter, Hudson, Hayden, Houston, and Harper. Kailee loves her family and she loves posting about them. Kailee shares her story about how she met her husband. They met when they were just 12 years old when Joe’s family moved onto her street. She had this impression that she was going to marry him. She didn’t tell a soul about it, as she was a little frightened about that herself. It was only on the day that she got married that she told her mom the story. They had dated a little in high school but Joe ended it because he didn’t want anything serious and wanted to focus on serving a mission. Shortly after he got back from his mission they got engaged, and they were married a few months later. They lived in Southern California for a while but have made the move to Salt Lake City where they have built a custom house. They designed their own home on paper. Kailee shared her frustration with her cramped home in California and the need that they had for a better-designed house. Along with her mom and lifestyle posts, she also shares her love of fashion. She poses outfits that she loves and shares all her finds with her followers. She loves Target, Nordstrom, and Anthropologie, to name a few clothing stores. All of her outfits are modest and classy. She always wears and shows pictures of clothing that follow the Church’s standards. Kailee shows women everywhere that you can still be stylish and modest. On her blog, Kailee Wright shares a link to Mormon.org. She shares her beliefs with others and stories about her faith. In her ‘How Joe and I Met post,’ she also linked to the Church’s website, lds.org. She is not afraid to share what she believes.